happen to the tax office since the calculator! Lost client files are a thing of the past. No longer spend hours hunting down misfiled file folders. All client information is centrally stored to optimize your employee’s time and ultimately improving your company’s bottom line. Customize work-flows to fit your different types of business, such as tax preparation, bookkeeping, IRS resolution, financial planning, etc. Reduce paper and toner costs by storing, tracking and accessing client files electronically. Documents can be quickly accessed by staff or clients with just a few clicks. THE ATOM ALL-IN-ONE OFFICE SOLUTION! Process more tax returns in less time, with fewer hassles! 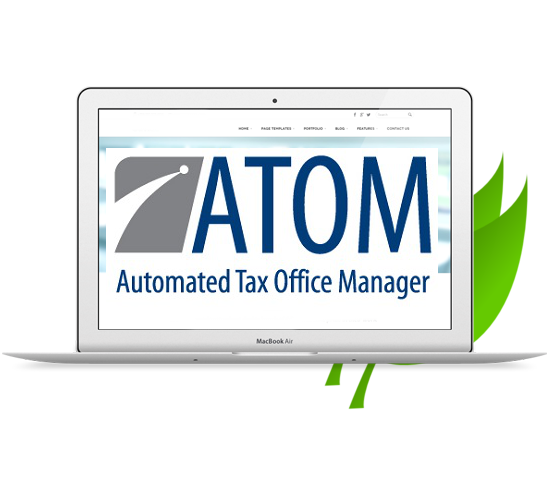 GO GREEN, BE A PAPERLESS TAX OFFICE! This isn’t your typical Client Portal. We didn’t stop at just sending and receiving tax documents. 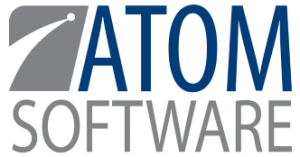 With ATOM the client can send messages, schedule appointments, make payments, check tax return status, and much, much more. And did we mention they can do this all on their phone. Automate and customize your workflow to easily track client status from start to finish using embedded checklists to ensure work is completed timely and accurately along the way. ATOM’s unique appointment scheduler will optimize your employee’s time and abilities. Securely store documents and digitized notes online for quick access anywhere. Decrease your customer’s lobby wait time and give them immediate answers since data is quickly retrievable and their records are stored in a secure portal versus a misplaced file. See for yourself and watch our recorded demo.